The idea of using autocorrect is an excellent one. For those of you who use EditTools, there are alternative methods available. One method is to use Click List. Enter the symbol in Click List and then when you want to insert it in your text, just click on it. A second method is to set up a custom tab in Never Spell Word. When you are ready, run the NSW macro (and you can choose just to run this one custom tab) and replace your placeholders with the symbols you need. A third method is to set up a custom Toggle Word file. With Toggle Word, you can replace the character acting as a placeholder with the correct character with a single key combination. Toggle acts much like Autocorrect. 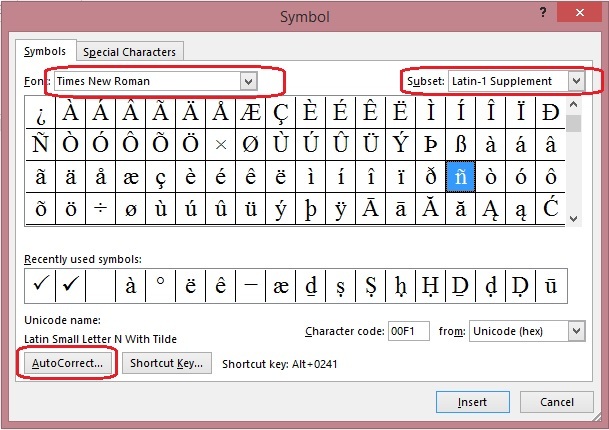 And if you work in multiple languages that require special characters, for each of these EditTools solutions you can set up a custom language file so you only have to create it once. 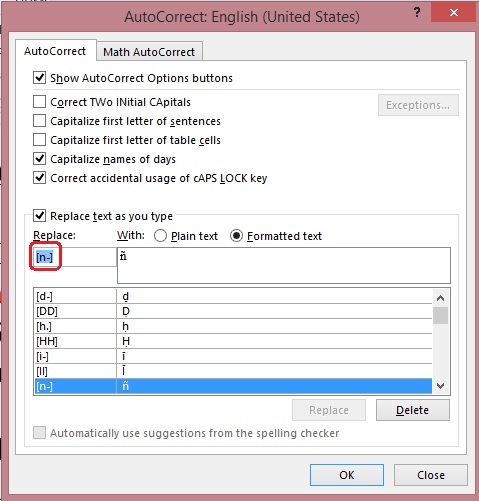 For more information on how you can use these EditTools options, see http://www.wordsnSync.com.